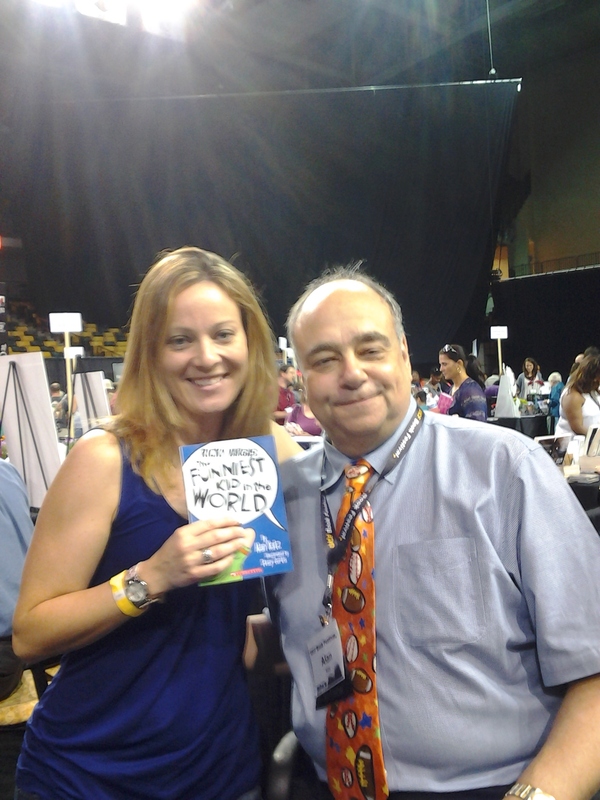 This past Saturday I attended the UCF Book Festival. It was such a fun experience, but then I suppose any event that celebrates books is fun. There were heaps of activities and handouts for kids. Unfortunately my boys had soccer games so they weren’t able to come this year. 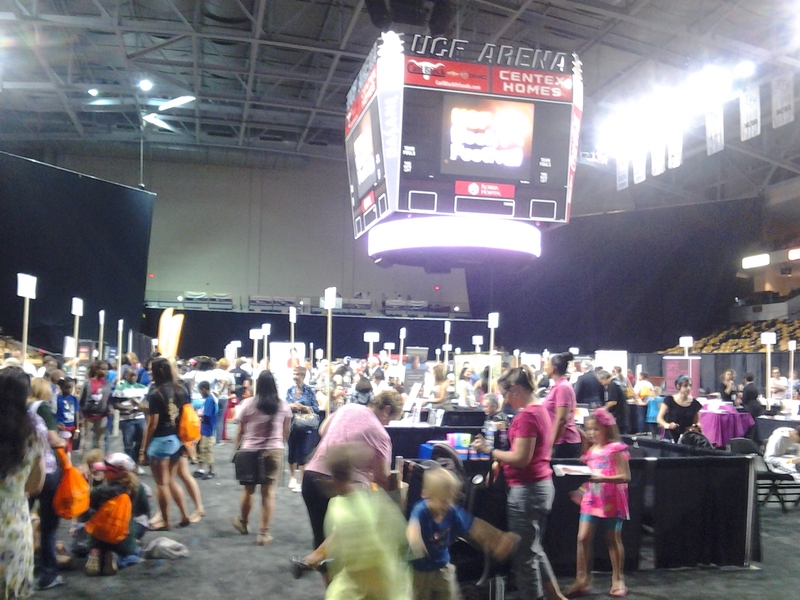 The arena was filled with venders. 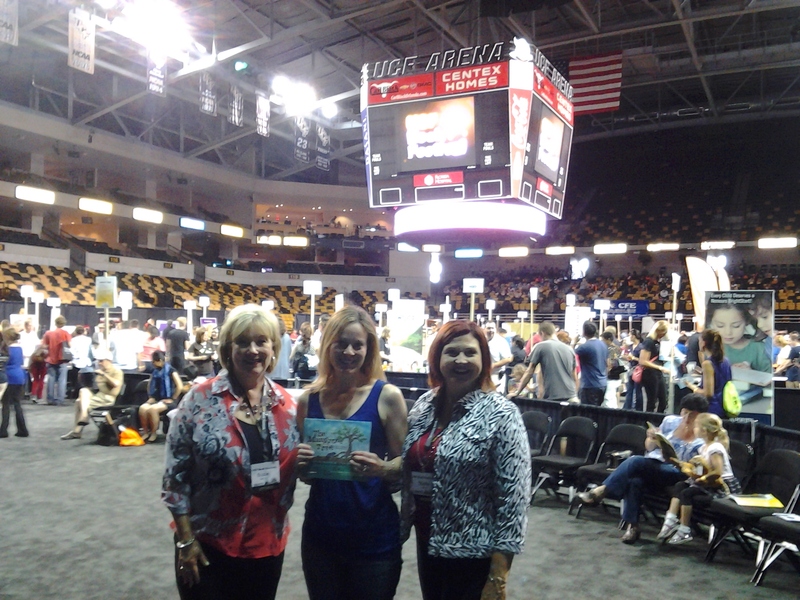 In the children’s section, I met Suzie Caffery & Diahn Escue, authors of THE MANGROVE TREE. It’s a top to bottom book and I had to get myself a copy because I knew I could use it in my classroom. I was also able to catch Alan Katz and get his book, RICKY VARGAS #1, autographed. Later he was at the children’s corner for a read aloud. Way up in the nose-bleed section of the arena, Jessica chatted with a group of middle graders and teens about her book and read us the first few pages. 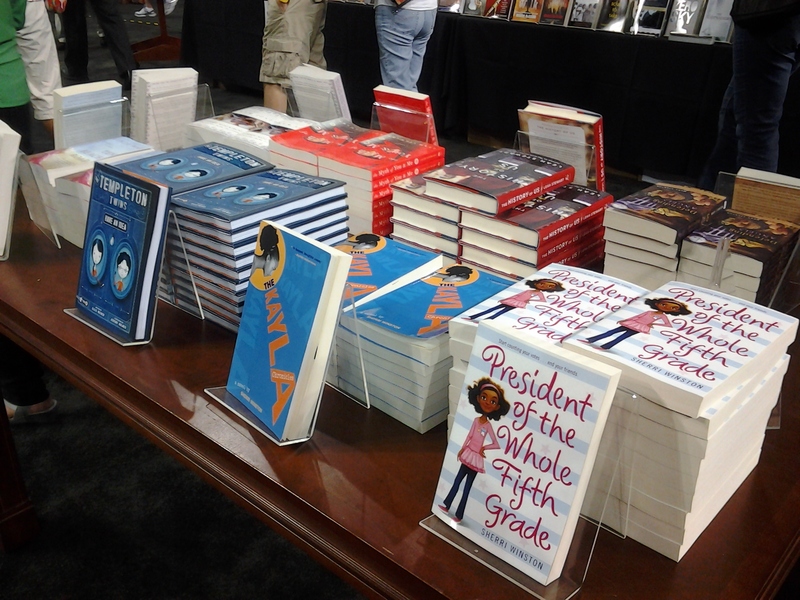 While there, Sherri Winston, author of THE PRESIDENT OF THE WHOLE 5TH GRADE, showed up next. My boys loved her book (and so do I!) so I had to get a picture with her. 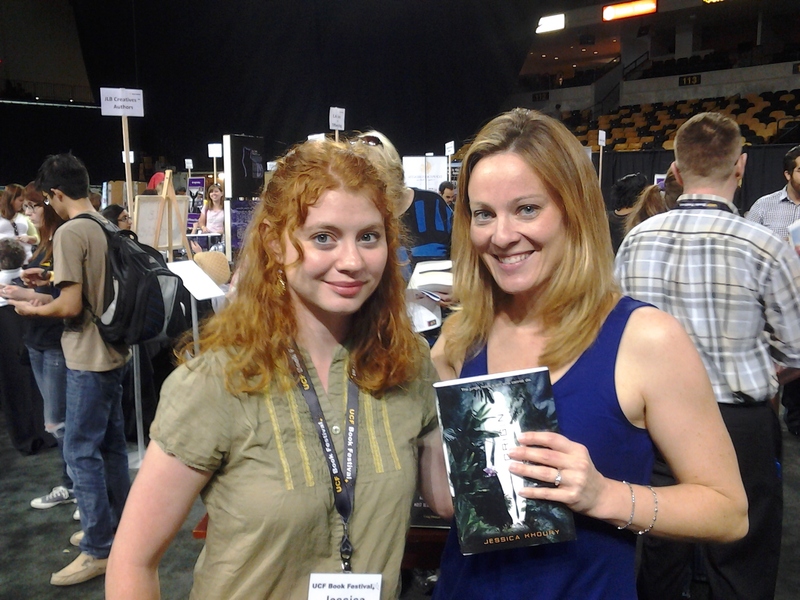 Jessica signed a copy of ORIGIN for me to give away to you guys, my readers! This book is AWESOME guys. I love, love, loved ORIGIN. So if you haven’t read it, you need to comment below to enter a chance to win it. Or just buy it! This autographed copy is only open to US residents. Sorry! Have you been to any book festivals that you love? I wish I’d been to a book festival, but no, I have not yet. Looks like you had a great time though! 🙂 Hopefully I’ll be able to experience something like that soon. Sounds like you had a BLAST!!! Great pictures. I love the advice — write hot, edit cold. And of course, I’d love to chance to win Origins. Bonnee- It was fun. You would love it. Bish- ORIGIN is a book you can’t put down. So good. Vijaya- I’m so glad you liked the pictures. And yes, fantastic advice from Jessica. Rats! I was on deadline for an editing job this weekend and missed you. It sounded wonderful and thanks for letting us know what we missed! Ooh! I want to read ORIGIN! I so wish I could have gone. It sounds like it was a blast! Larissa- you would like it! I haven’t read it yet, but have been looking forward to it for months! Thanks so much for this giveaway! I would love to win this! I have never been to a book festival. I would def love to attend one though! Thanks again! I never get a chance to go to conventions and I’m always jealous of those who get to go. Anyway, I’ve been dying to get my hands on Origin! Me too! This was my first. And ORIGIN is soooo good. You won’t be able to put it down. 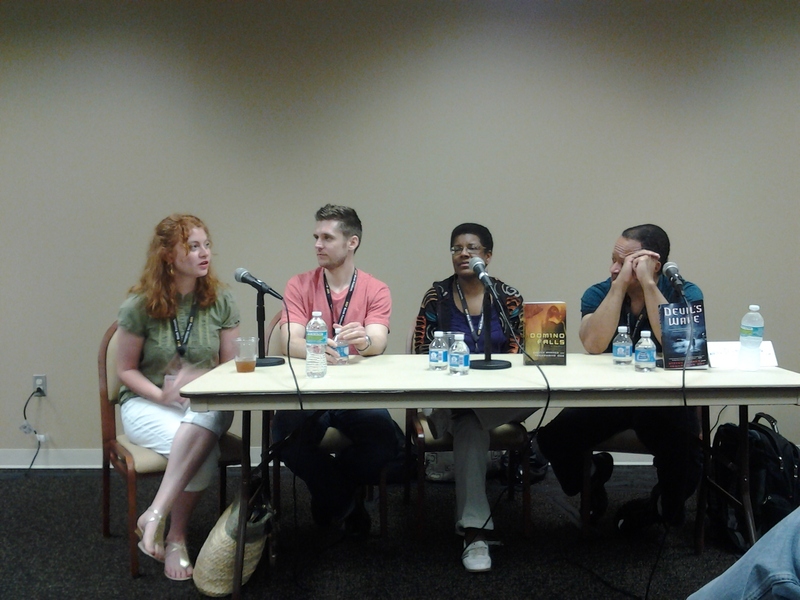 I’ve been to the Montgomery County Book Festival and it was awesome. I’m bummed I have to work during the Teen Book Con that is going on in Houston this weekend. I love book festivals. I’ve had so many “best days ever” because of them! The three best so far have been the Vegas Valley Book Festivals in 2011 and 2012, and the 2009 Utah Humanities Book Festival. So much fun to be had! Kate- I really love your YouTube channel! I haven’t read Origin but I know I have to read it based on the cover alone! I would LOVE to go to a book festival. I would probably have a hard time not buying lots of books. I would also LOVE to read Origin. Thanks for hosting the giveaway! I haven’t been to any book festivals. Mostly because I live in the middle of no where and because they never seems to be any thing YA book related in Colorado. Looks like you had a great time! Thanks for the giveaway! This sounds like a great event! Too bad you missed the one panel. Movie Star! Thanks! Although it wasn’t on purpose. 🙂 I’m not so good at poses. And yeah, I was bummed about missing that panel but maybe next year! That looks like it was so much fun! I really enjoyed your recap. Thank you. I have my debut novel slated for a December 2013 release, and I am so excited to know that I will have something to offer at next year’s show. Hope to see you there. Look forward to checking out your book, as well. Dec 2013 sounds awesome. Congrats on your book coming out. Very exciting! Nice post! You got some really good pictures. I’ll be going to BookExpo America next month (my first time)–should be fun! I would love love love to go to a book convention like that! Sounds like so much fun! Great pictures of the place 🙂 I hope you had fun! Jessie- Congratulations! You are going to love Skyscape. Thanks for stopping by. I wish there were more book festivals in my town! 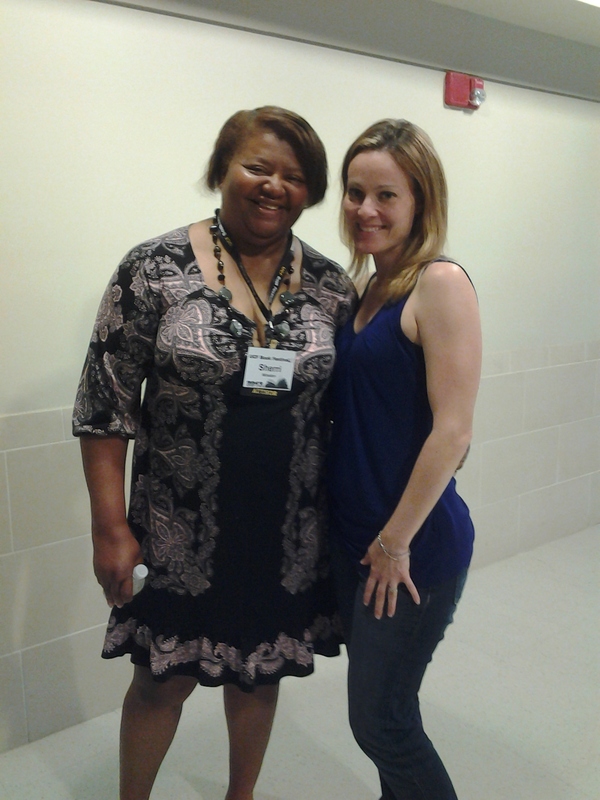 I haven’t been to the UCF book festival, but I have heard Sherri Winston speak when she was in Tampa. I’d love to win a copy of the book! I can’t believe I’ve never heard of President of the Whole Fifth Grade. I’m on the hunt for middle grades by author’s of color and this one is going on my list.